As a next step of the negotiation process, a Turkish delegation will inspect the Antonov production line in Kiev, Ukraine as agreed by Turkish and Ukrainian officials. SSB (the defence procurement office of Turkey), TAI (Tusas Turkish Aerospace Industries), and the Ukrainian Antonov and Ukroboronprom are the parties participating in the negotiations. 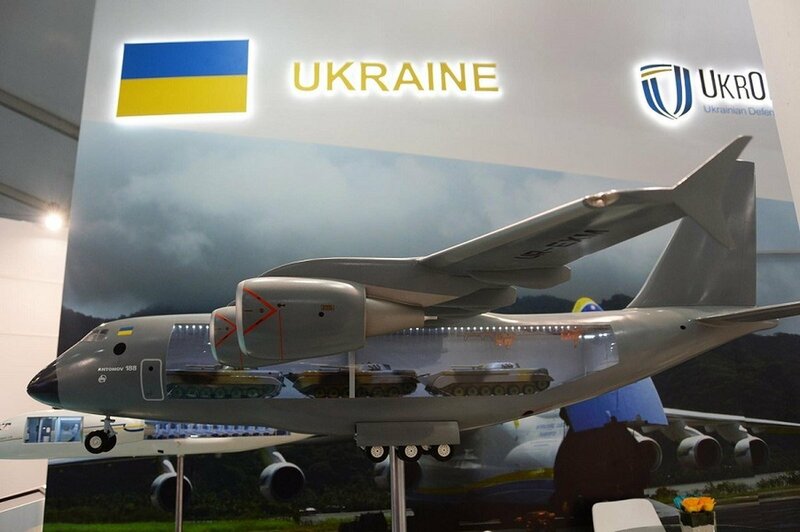 Antonov is part of the state-owned defence and aerospace holding group Ukroboronprom. Antonov presented for the first time its An-188 at the aerospace exhibition Eurasia-2018 in Antalya, Turkey, from 25 to 28 April. Turkish officials explained that a co-production deal could be concluded only when the aircraft is brought to full compliance with NATO standards. The short take-off and landing aircraft will have an innovative glass cockpit with the latest flight navigation and communication equipment. The flight distance covered by the An-188 aircraft is up to 7,700 km. The aircraft features a cruising altitude of up to 12,100 m. Depending on the aircraft and engine type and version a speed of up to 800 km/h could be reached. All new aircraft belonging to the An-188 family will be capable of basing on different airfields, as well as air strips, and landing on short runways the length of which is only 600-800 m.
The new family will involve three versions with different turbofan engines – An-188-100 (with four D-436-148FM three-shaft high-bypass turbofan engines of the Ukrainian company Ivchenko-Progress); An-188-110 (with four AI-28 new-generation engines of Ivchenko-Progress); and An-188-120 (with four LEAP high-bypass turbofan aircraft engines of CFM International).